What would u do if Michael Jackson invited u and your family to come to never land would u go share with us. 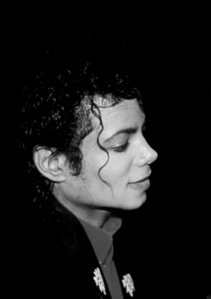 I would go and spend a lot of time with Michael. We would go on rides together ,eat and go watch films like peter pan and try to get to know each other and stay friends. Of course I wud go and hav funI love him! 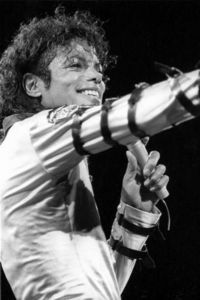 I would love to spend time with MJ :)) I mean who wouldn't?? Forget the family I'd leave them home! 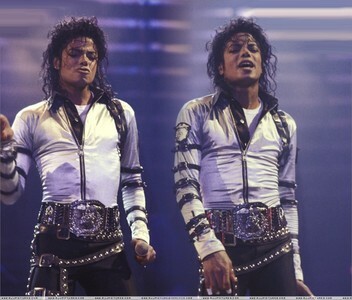 Just kidding, I'd bring along my sister (she likes MJ too, but no where near as much as me!) I'm not big on rides so I would like to spend my time mainly just talking and listening to Michael. Anything else I would like to do I will leave to your imagination! Truly I can't think of anything else in the world I'd rather do than have the privilege to spend even just 5 minuten with Michael. I love him! I would have a hard time believing that he would want to spend any time with me of my family. But I would get over it cuz I would be really stupid to decline his invitation. When I finally got there with my family (why do they have to come anyway? lol!) I would do anything that he wanted to do and we would spend time getting to know each other better. I love to wrestle and I'm a big tomboy too. I don't really care for dresses of skirts unless I have to wear them. I love to play games too and please don't get me started on Super Soakers and water fights. Lol! When I do them with my family, I am the master and I always win. So it would be fun to play with Michael and I would not mind getting wet door him. In short, Michael, my family, and I would have a lot of fun together. I would hope that Michael and I would always be best friends. I'll totally want to be invited with my famliy to never land I want to see MJs monkey bubbles and ride all the cool rides he has in his theme park omg that would be AWESOME!!!! Of course I would accept!It would be an excting experience..I couldn't wait to come to my fav place and to meet my fav person! I would spend some time with him. I would want to go on his rides and go to the candy koop he had and watch movies. I would love o spend a couple nights there. But I wouldn't bring anybody in my family because they don't like MJ at all.